Nothing but biscuits & bully to eat. Popular soldier’s song, circa 1918, recorded in the diary of Archie A. Barwick. Thirty-two countries of the world were called to arms in the first world war, or what has been historically referred to as THE GREAT WAR. The fighting cost the earth over 16 million of her citizens. Its hard to believe that something of this magnitude could have happened so recently and we often forget the costs. For multiple nations to battle with giant warring, trench fighting armies these massive armies had to be fed. Soldiers did not stand a chance if they were not being fed on a regular basis. The struggle to pull this off in a war zone was no simple feat. The battalion kitchen carried a huge responsibility and John Monash lays it out best in his explanation of their service. The battalion kitchen was a terrifyingly simple layout that had to be ready to move with the battles. If these areas were shelled than it would be days or weeks before the fighting force would get sustenance. This was an alarming reality of cooking in this trench style warfare. All the cooking was done in two large vats. These vats were cleaned on the go and often cooked multiple items per day as well as boiling water for tea. That meant many of the soldiers would have to deal with tea that tasted like vegetables. This also meant that cross contamination and food borne illness were common. Forget about accommodating allergens, in these camps dysentery was a common occurrence that soldiers just learned to deal with. The food borne illness and sanitation issues in the trenches are well documented within soldier diaries. Whether they knew it or not much of the illness was brought on by the lack of food safety and personal hygiene in these battalion kitchens. So what types of foods did these wartime survivors eat and make during The Great War? 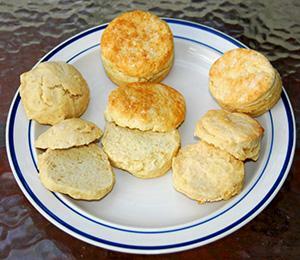 Egg biscuits would not be the fluffy, flaky baked biscuits with an egg omelet that you are thinking of. These were British biscuits which meant they were more like a cookie or cracker. Because of the tightening of resources, I must believe that sugar was used sparsely, and these were probably only a step up from the hard tack eaten by our civil war soldiers. 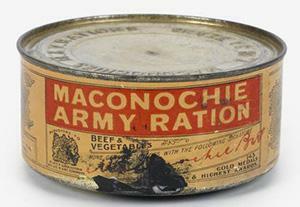 This canned corned beef was part of the soldiers’ military ration and was universally despised by the soldiers. When the kitchen battalions were attacked, deliveries delayed or if other wartime situations affected food delivery it forced the soldiers to break into their rations. These were not allowed to be opened until the military commander declared it. Sometimes they would eat only these rations for days at a time. Soldiers also got creative in the trenches. Bread would arrive days or weeks late and be too stale to eat. Rather than toss the bread at the enemy, the soldiers took matters into their own hands. They would take potatoes, onions, sultanas and boil them in a sandbag to create a chewy, sandy trench stew. By 1916 there was a flour shortage that greatly affected the menu for the WWI Trench Fighter. The food for soldiers went from bad to worse and sometimes they didn’t eat at all. 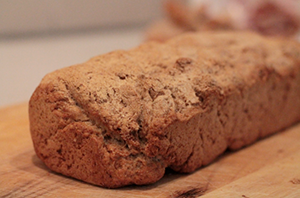 This dried turnip bread was made from the flour of ground up dried turnip roots. This bread is so archaic I struggled to even find a recipe for it. I am sure it was hardly a substitute for flour based bread. To me this addition is a reminder to preppers about the importance of storing those base ingredients as well as being able to adapt if you run out. There were times when ingredient shipments did not make it to the battalion kitchen in time. This caused the soldiers who operated these kitchens to act on their feet and find ways to create meals from the food growing in the forests nearby. One popular dish was the stinging nettle soup. For those of you who practice foraging, you know that the stinging nettle or 7-minute itch can be a big problem if you grab some of it when its raw. 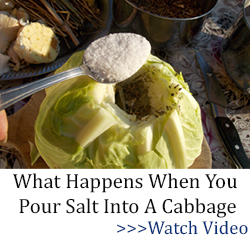 When it is cooked, however, you have a fibrous green vegetable that is packed with nutrition. 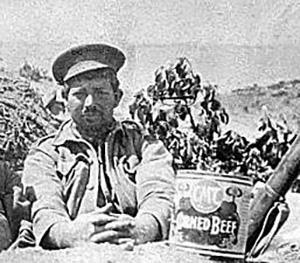 Dried peas and chunks of horsemeat must have been a serious low point for the soldiers after a day of battling opposing forces. While writing myself I considered the source of the horsemeat and thought about horses from enemy factions. T his stew was made of turnips, carrots, potatoes and large chunks of beef. The soldiers despised this soup and in the popular quote by an unknown soldier the stew was summed up perfectly. There was little to no understanding of things like nutrition and food borne illness. Personal hygiene practices were not a concern and would be nearly impossible in a battalion kitchen. This meant that the quality of the food suffered, therefore, the health of the solider did as well. Of the 16 million who lost there lives in The Great War I can’t help but wonder how many died from poor food preparation and eating spoiled foods. This is not to knock on the performance of the battalion kitchens. These soldiers were up against impossible odds. This is a reminder to the prepper and survivalist that health and nutrition, as well as quality, food doesn’t change just because you’re fighting for your life. i think the horse meat probably came from the horses of the supply line that got shelled/killed; a tragedy to be sure, but fresh meat of any sort would have been welcome, even if you knew it was horse meat, which many people still eat today, though mostly not in america. Horse meat is commonly eaten in many countries. The death toll of horses during WWI was very high as they were really the principal means of transporting supplies to the front lines. Trucks were so primitive that they couldn’t be reliably depended upon. There were even calvary units used in the very early days of WWI until even the dullest general realized that calvary units against machine guns was tantamount to suicide. but it often comes from america. i’ll not go into the source–anyone interested can google it for themselves. I doubt that they cooked up the stew in a sandbag. While I only look like I might be old enough to have served in WWI, I don’t know exactly what sandbags were made from during that period but I suspect canvas. Canvas is not fireproof, so it would be difficult to heat up stew in a canvas bag. What soldiers really made their stew in was their helmets. They weren’t called tin pots for no reason. Soldiers used them as pots to heat water to shave, to wash and to cook. They were used to dig in an emergency and in hand to hand combat it was more effective to smack your opponent with a loose helmet than it was to punch him if you didn’t have any other weapon. I don’t know whether WWI helmets were heat treated. WWII helmets were and if heated over a fire lost their temper and were less resistant to puncture. However, there were usually, unfortunately, plenty of helmets without their former wearer so having an extra helmet for cooking and washing was not that difficult. In addition, I feel quite confident that there were plenty of other metal containers about that could be used either as a hobo stove or as a container to heat food in. C-ration cans were a common container for coffee in later periods. As in other wars, more soldiers died of disease than of actual wounds. It wasn’t until WWII and the introduction of better sanitation and medical treatment that deaths from disease fell below deaths from combat wounds. The influenza epidemic that swept the world caused numerous deaths to service people. Reading about the great influence plague of 1917, it seemed that it attacked people of military age more than it did the elderly. It was particularly deadly to people in their 20s and early 30s. Actually, I have boiled water in a brown paper bag, so canvas might not be as difficult as you think. The water keeps the paper from burning as it soaks through, but the heat of the fire boils the water, and keeps the bag from getting to waterlogged. You should try it, its a neat trick, a fun bet, and a solution in a pinch. I once made coffee on a cold mountain top for a friend and I with a paper sandwich bag, two sheets of paper (folded into cups) and some instant coffee (the weak link). It was very welcome, and a surprise to my friend! It also fits nicely into a pocket for easy carrying, and there in a pinch if needed. thank you for posting this. I will never look at a brown paper bag the same way again. Thank you! Have been reading about the Boer War and how many more men died of disease than being shot. While it should not have surprised me, was sad to see this extended into WWII. Reading these articles about MREs not being a long term food solution and the need for sanitation means I’ll add more bleach to Walmart list. What kind of food would you add to the Prepper list to avoid gastric issues? Gatorade and Cream of wheat? Liquid bleach (no additives), loses it’s potency over time; no way to know how much how fast. I use it in my water stores 8 to 10 drops per gal. repeated twice yearly (my own formulae). That’s for water from the tap, local MUD. If you want to plan long term, use LCC’s method: boiling, or, RESEARCH VERY CAREFULLY the use of ‘calcium chloride’. Did not know bleach deteriorated. Will date bottles and rotate. Thank you! Sorry bout that: research, calcium hypochlorite. Canned and dried food that you consume on a daily basis. An EOTW situation is not the time to start a drastic diet change. If you like tuna fish, stock up on it. If you like Dinty Moore Beef Stew, ditto. Freeze dried food, but try it out before you stock up on it.. When buying “emergency food,” be careful. I see that they have stopped advertising it as so many days food. It is now “servings.” That is far more accurate than what they had been advertising. However, 90 servings does not equal 30 days of food. A “serving” typically is between 250 and 300 calories. You are going to need at least 2,000 calories per day. Do the math. 90 x 300 = 27000 calories divided by 2,000 = 13 days worth of food. C-rations ran between 3600 and 4000 calories per day, depending upon the individual rations. In researching there information about rations in WWI I read that they tried to provide 4,000 calories per day for the men in the trenches. I’ve also read that MREs provide about the same caloric content as C-rations. That gives you a clue what the U.S. government figures the average soldier needs. One thing that’s very good if you can get it is bayberry leaves. I tried one during a bad flare-up of ibs and it worked wonderfully! Just pick and chew a fresh, clean leaf – you’ll notice the astringent quality right away. It feels like all the saliva is being sucked out your mouth. Take small sips of water while chewing, swallowing the juice, until the leaf is chewed to a fine pulp and there is no flavor left. 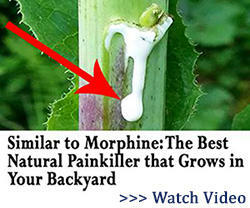 Spit out woody veins and stem – swallow the pulp with more water. Should stop the cramps and diarrhea in about 15-30 minutes. Be sure of identification ( other edible myrtle’s should work, too.) Don’t eat. anything if you don’t know what it is or if it may be contaminated. ( I know, I know, but if I didn’t say it…) Bay leaf tea might work as well…I’ve never tried it but it would be worth giving it a try. Use one or two leaves per 8 oz water and steep for about 10 min. Take half a cup warm, wait half an hour to give it time to work. Drink rest if necessary. You should be experiencing relief by then if it’s going to work. You can boil water in a paper cup, which I have done on several occasions. The burn temperature of paper is approximately 450 deg. F. Water boils at 212 deg. F. so you can see that the water, even boiling keeps the paper a couple hundred degrees cooler than its flash point. 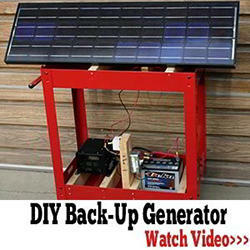 Try it, its something to amaze the grandkids with. as a school kids, we had a subject which taught what is probably what the boy scouts learn/ed, but was taught in class with a whopping textbook, about the native plants, animals, etc. i lived in alberta, canada at the time. one of the lessons contained in the book dealt with the native americans (can’t recall the name of the tribe/s) who lived in the woodlands, and how the women of the tribe (primarily) used hand made baskets of willow bark (of bark at any rate) to cook soup/stews by dropping hot stones into the water-filled baskets to boil the water/contents. it didn’t burn because of the water having soaked into the bark and as long as there was sufficient liquid it didn’t and the contents were cooked long before it was likely to, and therefore taken off the fire. 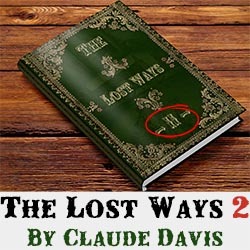 i wish i had that schoolbook now, it would be a great addition to my prepper library. The part about cooking in sandbags is true though not well explained. There is a kitchen term of “sandbagging” that likely comes from this. In modern kitchens it refers to making something ahead of time for reheating to serve to customers. In the trenches it refered to soldiers putting their share of rations in a bag (which were then boiled in a pot or helmet or whatever) to take with them. I am going to have to research field ration preparation in WWI. The method you describe sounds too kluge to me to be practical. I know that when we received hot rations in the field they were brought to us in large water-tight cans, perhaps twenty gallon cans as they could only be carried by two men when full. It was hot when loaded into the can back at the kitchen and depending upon circumstances was at least still warm when served. It was served into our mess kits which were two steel pans that fitted together. C-rations were heated in the can and eaten straight from the can. When circumstances allowed heating. 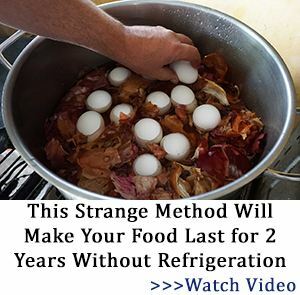 Otherwise they were eaten cold straight from the can. I don’t know when you served, but I’m closing in on 20 years active duty now and its funny you mention the hot ration cans. We still use something similar. They are heavy double walled plastic, require a couple guys to tote when full and we still fill our metal canteen cups. Regular rations are MREs these days but “hot wets” are something to look forward to, especially on a cold day! As for the sand bags, I don’t have a link to share to prove what I said. I’ve heard it repeated enough that I always assumed it was akin to the “real mccoy” and that sort of jargon that eventually makes it way to the civilian sector with returning troops. I do know they used a variety of mess tins in WWI, I have seen a number of examples in private collections. If you think about it the sand bag makes sense as a way to cook up a bunch of potatoes and stuff as the article mentioned in a big pot as a take it and go meal, as opposed to dishing out servings. Especially if you are talking about soldiers foraging and then just dropping their bag in for cooking. No something I think they would do at the Company or larger level but I could see a squad of guys doing this. I did see a U Tube video where a British Lady in WW ll cooked in a cloth bag. She was cooking 2 meals in one large pot to conserve fuel. It was one of the Home Front Documentary type films. “(6) Private Harold Horne, Northumberland Fusiliers, interviewed 1978. Ration parties from each company in the line went to carry back the rations which were tied in sandbags and consisted, usually, of bread, hard biscuits, tinned meat (bully) in 12 oz. tins, tinned jam, tinned butter, sugar and tea, pork and beans (baked beans with a piece of pork fat on top), cigarettes and tobacco. Sometimes we got Manconochie Rations. This was a sort of Irish stew in tins which could be quickly heated over a charcoal brazier. When it was possible to have a cookhouse within easy reach of trenches, fresh meat, bacon, vegetables, flour, etc. would be sent up and the cooks could produce reasonably good meals. Food and tea was sent along in ‘dixies’ (large iron containers the lid of which could be used as a frying pan). I noticed in another article there there was a small petrol stove included in the picture of the rations. The Brits were constantly brewing up tea and small petrol stoves or charcoal braziers. It had to be something that didn’t create much smoke, otherwise one could expect a minor shelling from the German artillery — or major shelling, depending on their mood and ammo supply. Should be “on small petrol . . .” my mistake not predictive’s. If you look at the three soldiers in the top picture, they are eating from their mess tins. Two are eating form the main mess tin and the one on the left is eating from the smaller tin which was would have been used for a beverage, tea or coffee, depending upon British or U.S. I can’t see the weapons clearly enough to identify them. We shared helmets with the Brits, so that doesn’t tell me much. The clothing is too nondescript to reveal anything. Yeah I was wondering the same thing about the photo. I also understand that the French used the same helmet so that murks it up even more. Looking at the rear sight on the rifle the solider on the right of the photo makes me suspect US but I’m not sure either. Its not an Enfield but I can say for sure its an ’03. The fellows on the left and right are definitely Brits. They each have an .303 Enfield Mk.1 rifle (the end of the barrel does not stick out past the nosecap) and the one on the left looks to be wearing a canvas or leather jerkin (like a vest with no sleeves). The man in the middle has a different uniform and may be French, judging from the rifle behind him, which looks like possibly a Lebel. Since the man’s coat is darker than his trousers, I believe he’s wearing the French dark blue blouse and red trousers of the early to middle years of the war. Toward the end of the war the French uniform changed to a “horizon” sky blue. You have sharper eyes than I, Rich. I thought the one rifle looked like a SMLE but couldn’t be sure. The guy in the middle definitely doesn’t have a SMLE and that caused me to wonder about the picture. I haven’t read enough about individual unit dispositions to know if French and British would be chowing down together. The rifle of the guy in the middle could have been an ’03 but not enough detail for me to tell. Or, as you surmised, could have been a Lebel. How would you like to go into battle wearing red trousers and a dark blue overcoat or even a sky blue coat? Not I! Thank you for your responses. Very interesting to this fellow reader! Honor to all that have served! We would not be here today, were it not for your sacrifices. Again, thank you. I hope preppers are not storing up to run a canteen/soup kitchen. I have a commercial kitchen still mostly intact here. Most of the pans are gone today but it takes a lot of water and propane to operate that place. I personally have fed 400 a meal but I had commercial supplies. Still a communal meal of soup or stew supplied by many working together would work. Sanitation in any case is essential. Bread or tortillas and a hot soup is pretty easy and very good. Unless you have run or worked in a large kitchen, you have no idea how hard it is. I own a WW2 Army Cookbook. Also have a card file and notebooks of commercial recipies for volumn cooking. Not sure I’d do that without a group working together. It takes a lot of food and a lot of work. Honors to those guys trying to feed troops with poor and inadequate supplies. I ran a bakery making bread for grocery stores. Truck loads of supplies were delivered to the doors. I might bake 15- 20 loaves of bread in a large Adobe outdoor oven. You make the stew. We have emptied the storeroom so after today we are hungry….or we are eating hardback for the next year. Hardtack. Auto spell doesn’t know everything! I’m with you. I don’t need any help with typos, thank you. I can do just fine all by myself. I have never envied the cooks in the service. Sure. they reserve the best cuts of meat for their own private mess, but they work hard to serve the troops hot food. They start to prepare morning chow long before the troops are up and continue all day and serve watch standers chow late in the evening. It is hot work with lots of heavy lifting. Had I been assigned as a cook, I would have done my darnedest to qualify for another MOS. One of my friends oldest adopted son is the Master Cook on a big vessell in some body of water feeding the masses. Very proud of him!! To the masses protecting us! Sorry, left that out. Wow! I thought cooking for a large number was just a matter of doing the math, but the prep work alone would be daunting to most folks. You’d be a valuable member of any Prepper group. I am reading a book right now wherein the author describes the mess deck on an aircraft carrier and it is a 24/7 operation in order to feed everyone on board who work varying hours in order to keep the planes flying. In addition, they have to stand watches when they are not working their primary job. I had it easy in the Marine Corps 60+ years ago. Nobody shooting at us and I worked in an office. It prepared me for a long interesting career after my service. I don’t know how many noz of tea. It was an interesting article about the rations section in a WWI museum in England. By the way, the picture above the of three gents eating something is the lead picture of the article and is much clearer and it is even more difficult to identify the rifles they are carrying as the muzzles are covered with rags, evidently to keep mud and rain out. I can’t see enough of the receiver to be able to tell. The sling arrangement is different from the way I remember it on my SMLE but then mine is a WWII model and I will have to check with my brother who is the SMLE expert in the family whether the sling arrangements were different on the WWI and WWII models. He can remember what Mark 1*3 and Mark 2*1 and Mark 3 all were and what the differences were. Too much detail for my limited memory banks. By the way the “biscuits” they talked about in the article were not crackers. They were hardtack. It says the Tommies had to soak them before they could eat them or risk breaking their teeth. Same complaint by the Civil War troops about the hardtack. I don’t know how long one has to soak hardtack to make it edible. I soaked mine in hot coffee for 20 minutes and the center was still like concrete. I saw a Civil War uniform displayed at the library in Fremont OH with the hardtack found in the pocket beside it. I have made hardtack as probably most of you have and it wasn’t bad. I do not think there’s much resemblance between fresh hardtack and that made on the fly and carried in your pocket for a week. I read All Quiet On The Western Front in 1957 when I was stationed on Okinawa. I’ll have to go back and read it again. It’s probably free on Kindle. It may have a lot more meaning now that I have read more about WWI. The German Army suffered greatly from poor and insufficient food during the latter stages of the war. Not that I am exuding warm sympathy for their plight, but that was one of the factors in the success of the Allies during the final campaigns. The German troops were just exhausted from poor scanty food. I agree. Left Coast Chuck has forgotten more about prepping than I’ll ever know. 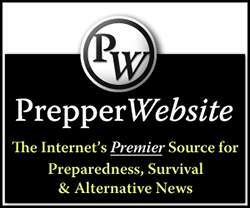 Also, Ask A Prepper is head and shoulders above all the other Prepper sites. It never fails to inform. Re, sandbags, a video on Youtube recreates how a Tommy cooked the trenches. Chops everything up small, mixes in water and cooks it in his mess kit lid. 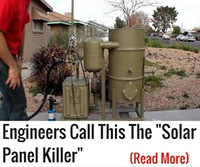 He cooks it over a small hole he digs in the ground, using sandbag cloth soaked in candle wax !